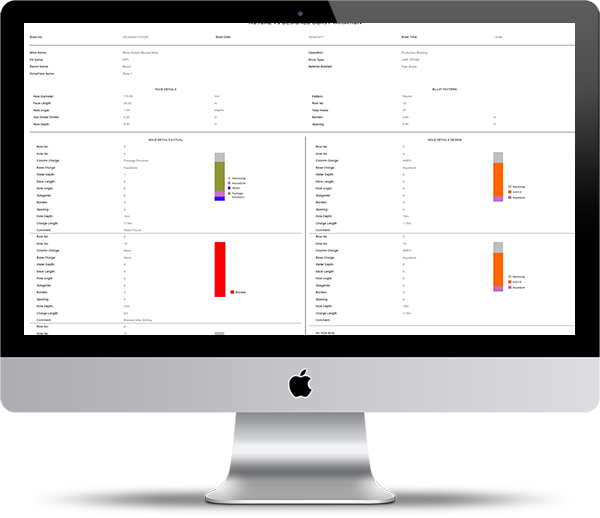 We have recently launched a sophisticated variance analysis module to our existing suite of powerful products. The new module analyses the variation between the predicted values versus the actual blast parameters obtained from our blast designer (BLADES) and blast information management system (BIMS). 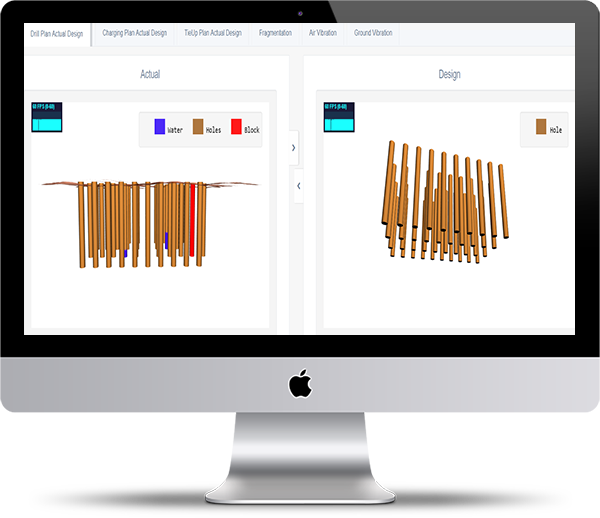 The new feature will enable you to verify the appropriateness of your drill and blast model in terms of drill charge plan, blast tie-up plan, fragmentation analysis, air and ground vibration analysis. 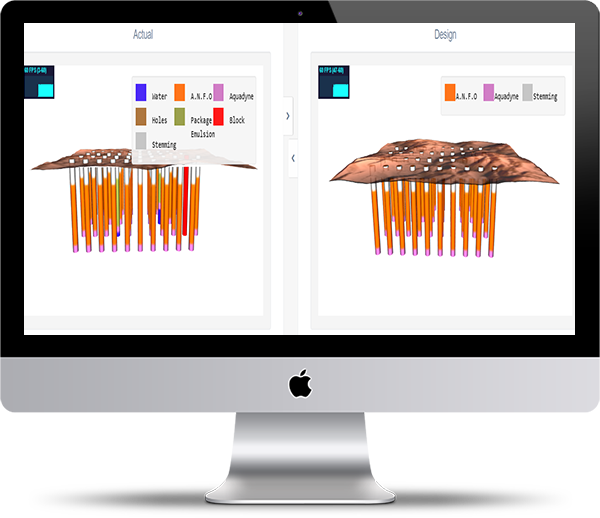 The variation of the said factors is presented using advanced 3D visuals to allow easy identification of causes of variation as well as a detailed variation analysis report highlighting the differences of results obtained by Key performance indicators and individual hole differences in terms of charging. Ability to measure the performance of drill and blast operations. Better planning and control of future blasts by analysing the problem areas. Better accountability of extra cost and material that resulted from variation from designed blast. Visibility to senior management of the difference in planned versus actual blast so that the concerned department can be held accountable for the undesired variation. Facilitates better budget control by analysing the past variations and ensuring low deviation rate from planned cost-effective design.